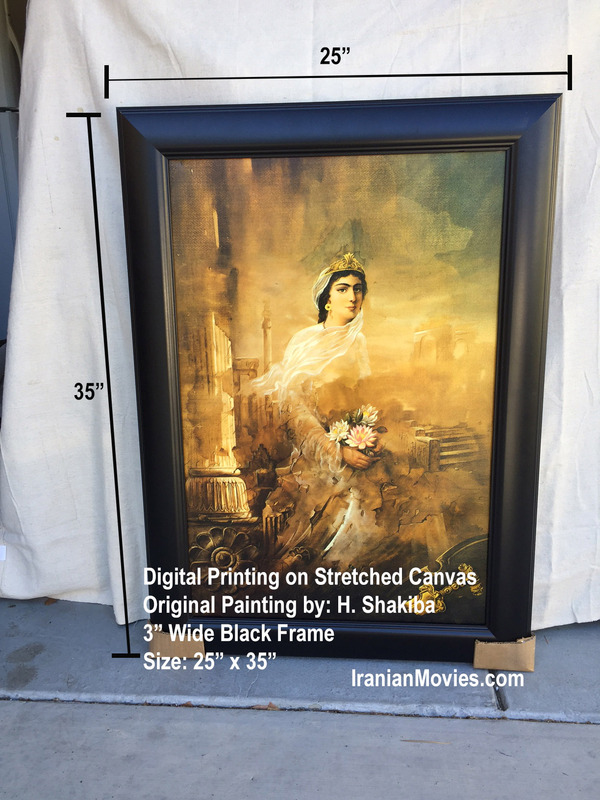 This beautiful art print of a famous Iranian painting, showing an Iranian woman with the ruins of Persepolis as the back-drop. It is printed in high quality on Canvas paper and then placed inside a nice large frame. 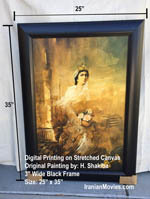 The amazing fine details of this painting will make this a conversation piece when hanged on your home or office wall. It is large enough to decorate any large wall. It is a very unique piece offered only on this website, and now you can own it to decorate your home or office. Hang it on your own wall to impress your guests and friends or order it to give it as a very unique and everlasting gift to someone you care about. He or She will love it and would appreciate it very much. Order it now before someone else purchase it!